I think it was when the army came in that I realized the situation had actually gotten quite serious. Walking out of my hotel I saw them, tanks and guns over their backs, in their black leather boots, searching house by house. Thirty years ago they have been looking for a hidden Contra but today they faced a different kind of enemy: dengue. For someone who for the most part has grown up in the relatively sterile North, I am unaccustomed to having pest-problems of such epidemic proportions. Mosquito bites are at most annoying, cholera outbreaks happen maybe once a century, and there are no crazy flesh-eating, body-paralysing bacteria to worry about. 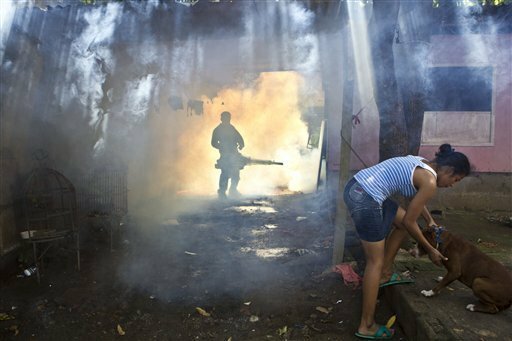 However dengue in Nicaragua has officially become an epidemic, with 14 deaths nationwide and over 100 new cases in Somoto alone. Dengue is also known here as “Quebranta huesos” (break bone fever) because of the intense joint pain experienced by patients. It is one of those diseases that unfortunately is linked with poverty as the larvae from the mosquito breed in stagnant water often found in things like open sewage, standing puddles or any place where water pools and doesn’t drain. 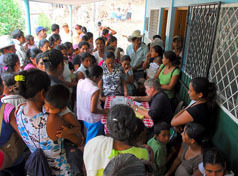 A large part of the educational workshops taught by my organization focus on educating the public on preventing stagnant water and thus breeding grounds for mosquito. As it stands, there hasn’t been a huge amount of success. So when I started feeling a bit nauseous, with a slight fever and a headache last week I panicked. On the one hand I was trying to convince myself that it can’t be dengue, I didn’t have all the symptoms etc, on the other hand I was certain I was going to get dengue hemorrhagic fever and die here sad and alone. When I started to feel worse, I chanced a visit to the local clinic. As anyone who has had the joy of experiencing health clinics in small towns in the global South will know, it is the kind of place where, if you ain’t already sick, you probably will be afterwards. Seeing as most of the people at the clinic were there because they HAD dengue, I spent a good three hours in my semi-delusional state swatting at anything that moved. As it turned out, I never in my life thought I would be this happy to find out I have both a parasite AND a bacterial infection. Yay! The parasite is potentially fatal and can lead to brain lesions and all kinds of nasty things but somehow it seems less daunting than having dengue. And on a good note, this brush with death (well…) has left me more aware of how much I really don’t want to have dengue. In the end it might just be my saving grace.